If you've got a credit card with at least $20 on it, you may be well on your way to making decent extra income online through an Amazon affiliate site. Building your own site is low cost and low effort, and only takes a day to set up. Building your Amazon affiliate site is just one step, though. 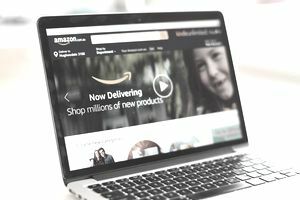 The challenge is attracting the right traffic that'll convert into product sales once they click through to Amazon. You'll see the best results from choosing the right niche for your site. If you have to rely on purchased software, you won't be able to get exactly what you want, you won't know what to do when things go wrong, and you'll end up spending money you don't need. This is where most people get burned. For an Amazon affiliate site, you do not have to pay handsomely per month for web hosting. Resources like Online Business Guide have a list of cheap web hosting services. Some are a paltry monthly fee, with unlimited domains. That means you can run several sites like this on the same hosting package. "Blog, you say?" Yes. It will give your site all the structure you need, plus make it easy to quickly post new content. WordPress, which is free, is easy to install and use, yet powerful. Many hosts have a one-step installation process for it, or you can download it and follow their installation instructions. One of the great things about WordPress is the huge variety of templates available on it. This gives you much more freedom and control in the look-and-feel of your site. Most blog software allows you to create subcategories to help organize your entries. Categories help visitors hone in even more specifically on their interests. For example, BandsFromTexas.com might have one group of categories for the genre—rock, country, or blues—and another for the city of origin—Austin, Dallas, Houston, or San Antonio. It's simple and free. Simply visit Amazon and click on the Join Associates link at the bottom of the page. Your site should already have at least the basic setup done, even if you don't have any content there yet. Amazon reviews the site manually before approval. At the bottom of the posting page of your blog software, an item called a "bookmarklet" should appear. Click on the link and drag it up to your Links toolbar in your browser or your Favorites menu. This allows you to blog about a product with one mouse click. This step makes it easy to build the link with your affiliate ID built in. Log in to Associates Central, look in the left navigation sidebar, go to Build-A-Link, and under Static Links, find Individual Items. Click and drag this onto your Links toolbar or Favorites menu. Go to Amazon and log in with your Associates account. Find the product you want to review and use the Site Stripe, which is the gray stripe at the top of the screen that you'll see once you're logged in as an Associate to get your personalized link to the item. Amazon also offers a variety of other options for creating links and banners. The best free way to do this is to communicate with other bloggers writing about similar topics and to participate in online communities where your topic is discussed. See the Online Business Networking category for ideas, as well as the Internet Marketing category.